Digital Forsyth | Groundbreaking for Carver School Road Branch Library, 1997. 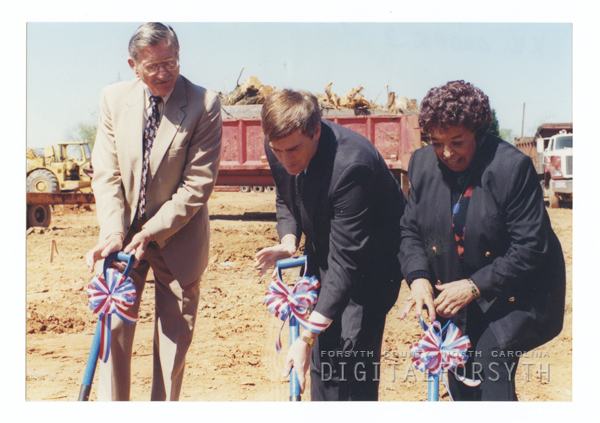 Home › Photos › Groundbreaking for Carver School Road Branch Library, 1997. Groundbreaking for Carver School Road Branch Library, 1997. County Commissioner Pete Brunstetter is in the center, with Library Board member Irene Hairston at right.